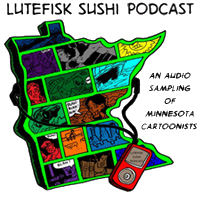 Our good friend Danno posted a new episode of the Lutefisk Sushi Podcast last week, this one starring Shad Petosky. If you haven’t heard it already, give it a listen. Shad talks about the origins of Lutefisk Sushi, and lots of other amazing/crazy/mind-blowing things!